We spend up to 90% of our time indoors. Ensure that you and your family are breathing the cleanest, safest air possible with residential indoor air quality solutions from John G. Webster! From air filters, cleaners and UV lamps to humidifiers and dehumidifiers, we provide indoor air quality solutions throughout Washington, DC, Maryland and Virginia. According to the Environmental Protection Agency (EPA), indoor air may be two to five times more polluted than outdoor air. Considering that we spend up to 90% of our time indoors, the air in our homes and businesses could be making us sick. 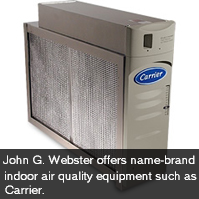 John G. Webster has many solutions for cleaner, more comfortable air in your home. Use static electricity to catch airborne microscopic particles & allergens, and improve HVAC efficiency. Eliminate dry, uncomfortable air and reduce heating costs. Reduce allergens (such as mold spores), musty odors and increase home heating comfort. 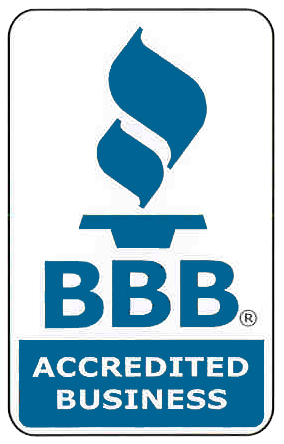 John G. Webster is proud to offer only top-quality, name-brand indoor air quality equipment. Our knowledgeable engineering team will identify the best indoor air quality solutions for your home, and our experienced technicians will install it quickly to get you and your family on the road to total home comfort. Our service agreements will keep your new indoor air quality equipment operating at peak performance, saving you from inconvenient, costly breakdowns. Interested in indoor air quality solutions? Contact us today!